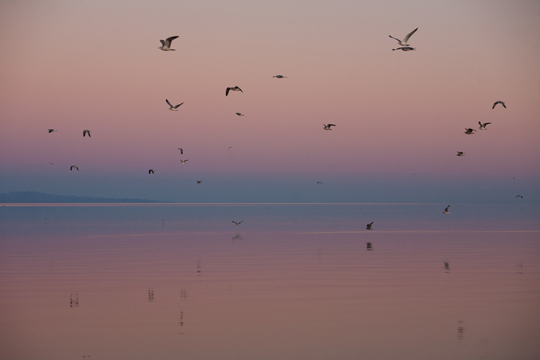 The Salton Sea is one of the last remaining wetlands in California and an important resting area for migrating birds of the Pacific Flyway. Four million birds are estimated to use the lake daily in winter. In summer the water temperature of the shallow lake rises so high that millions of Tilapia die from lack of oxygen. Other fish spieces have disappeared years ago they couldn’t survive the salt level of more than 30% higher than the Pacific Ocean.